After just over a week of leaving the beetroot and spiced vinegar to get all close and personal, I decided that today was as good a day as any to release the seal and keep my fingers crossed that everything went OK. The vinegar, as hinted above, had an unexpectedly acidic aftertaste that was both tasty and off-putting. I’m not really into the taste of vinegar, I should point out – a packet of Salt & Vinegar crisps generally has me reeling away with a sourly ‘bleeeuuuuuuhhhh’ exclamation. 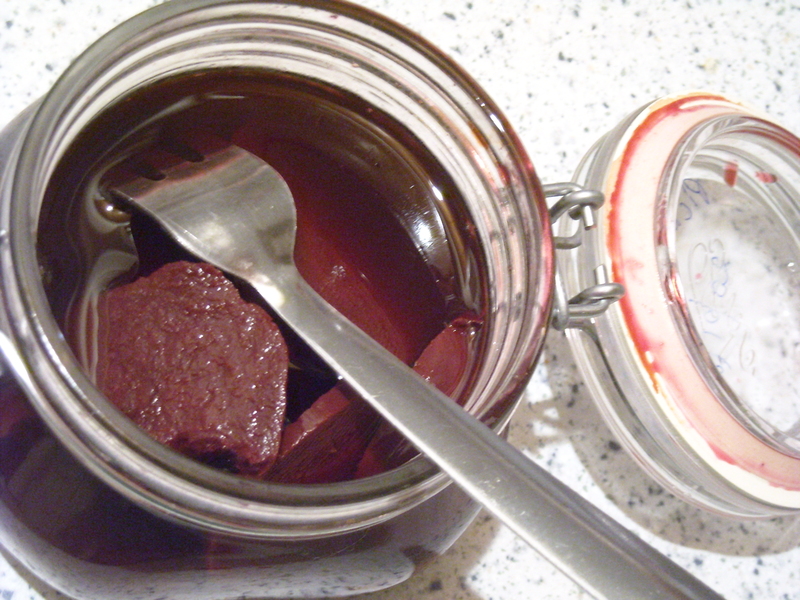 That said, this pickled beetroot is really not bad at all. It can’t really be compared to the vacuum- or tin- sealed versions sold in the shops – they tend to be packed in watery-purple liquids that aim to be both inoffensive and bland. 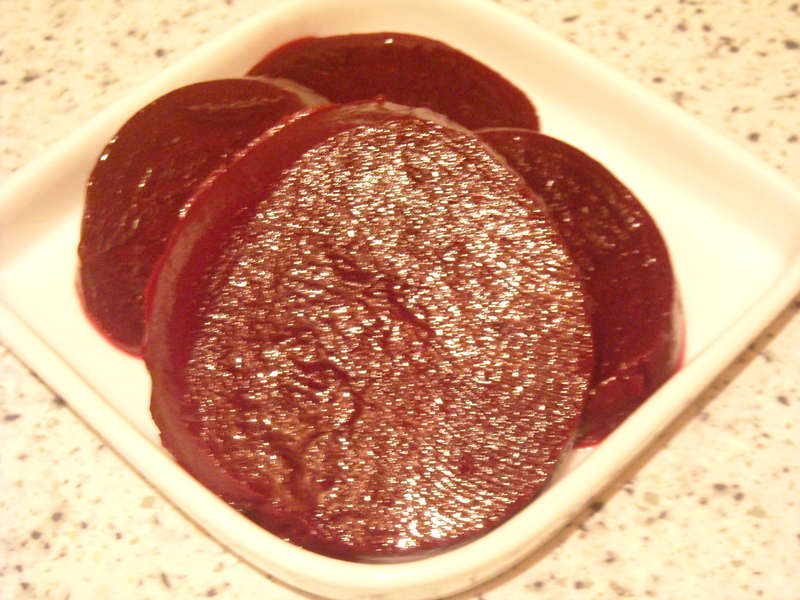 If you don’t mind the tangy taste, you’d probably enjoy Mrs Beeton’s Pickled Beetroot. This entry was posted on February 3, 2010 at 6:53 pm and is filed under food. You can follow any responses to this entry through the RSS 2.0 feed. You can leave a response, or trackback from your own site. Hi there, love following your Mrs Beeton adventure. Just thought I’d let you know that we’ve added paragraph links to MrsBeeton.com so you can now link directly to a relevant recipe instead of the whole page. For example, will link straight to the Barberry Tart recipe. Hope this helps! Sorry to leave this in your comments but could see no other way to reach you. Thanks so much for your message. This new feature will make recipes much easier for me and anyone else to find / link to, which is really great!